Keep the kitchen clean and eat out! Do you live in or plan to be in Florida on Thanksgiving? Then perhaps the idea of dining out is more appealing than peeling potatoes and washing dishes. The tradition of families gathering around a large table for their Thanksgiving Day meal is still alive, but that table is less likely to be filled with homemade fare than with takeout turkey and trimmings. And, not too surprising, is that for at least one in 10 Americans, that table may be located in a restaurant instead of the family home, according to a 2016 National Restaurant Association study. The study also found that one in 20 Americans will get a full takeout meal to celebrate the holiday. While there are many reasons for families to dine out for Thanksgiving—convenience and travel come to mind—people say that going to restaurants with family and friends is a better use of leisure time than cooking and cleaning up. So, if you're going to be dining out for Thanksgiving in Florida, reservations are a must to ensure a quality meal in a desirable location. Although, many hotel restaurants offer Thanksgiving buffets, but space is limited and restaurants in popular locations, such as Disney World in Orlando, are often booked months in advance. And, did you know that you don't have to be a hotel guest to dine at their restaurants? Here are just a few suggestions on where to dine out for Thanksgiving in Florida (prices, dishes, and availability are subject to change). Omni Amelia Island Plantation: Enjoy a Thanksgiving grand buffet at the Amelia Plantation's Sunrise Cafe from 10:30 to 7:30 p.m. Adults $62, children $26. Call 904-261-6161. The Verandah, also located at the Omni Amelia Island Plantation, offers a Thanksgiving dinner served from 4:30 to 8:30 p.m. Call 904-261-6161 for reservations. Other restaurants at the Omni that are open on Thanksgiving are Oceanside, Marche Burette, Natural Slice, and Falcon's Nest. The Ritz-Carlton: Enjoy a special four-course meal of roasted turkey in the elegant oceanfront surrounding of Salt at the Ritz-Carlton. Reservations are recommended; call 904-277-1100. Swan and Dolphin Resort: The Garden Grove will serve a traditional Thanksgiving buffet from 1 to 10 p.m. Favorite Disney characters will make a special appearance. The Fresh Mediterranean Market will also serve a special Thanksgiving buffet from 12:30 to 6 p.m. Both Todd English's Bluezoo and Il Mulino restaurants will serve a full menu and Thanksgiving special from 4 to 10 p.m. All four Swan and Dolphin Resort restaurants can be reached at 407-934-1609. View the Thanksgiving menus. If you'll be at Disney World in November, you can also get traditional Thanksgiving Day fare at these other restaurants within Disney World resorts. Rusty Pelican: Enjoy a Thanksgiving Day champagne brunch buffet with outstanding views of Biscayne Bay served from 10 a.m. to 4 p.m. Adults $85, children $35. Children 4 and younger eat free. Reservations recommended; call 305-361-3818. If you'd like to eat later in the day, Rusty Pelican also offers a Thanksgiving dinner from 6 to 8:30 p.m. that features turkey, stuffing, scallops, and pork shank. $70 per person. Reservations recommended; call 305-361-3818. Byblos Miami: This Miami Beach hot spot puts a Mediterranean twist on their Thanksgiving Menu. Expect dishes like, turkey porchetta with saffron brioche stuffing and duck kibbeh. The meal starts at $65 per person with an additional $30 to include wine pairings. The Ivy House Restaurant: Feast on a Southern-style Thanksgiving menu that's every bit as good as your mother's. The Ivy House has repeatedly been named by Florida Trend magazine as one of the top 400 places to eat in the state. Call 352-652-5550 for reservations. Caribe Royale: Located on World Center Drive in Orlando, Caribe Royale will serve a traditional Thanksgiving Buffet from 1 to 7 p.m. in its Tropicále Restaurant, featuring live jazz music for entertainment. Adults $55, children (ages 3 to 9) $18. Children younger than 3 eat free. Florida residents receive a 20-percent discount. Reservations recommended; call 407-238-8020. A Land Remembered: Located at Rosen Shingle Creek Resort, A Land Remembered, specializing in steak, has put together a special nontraditional Thanksgiving Day menu. Dine from 5:30 to 10 p.m. Adults $49.99, children $19.99. Call 407-996-3663 for reservations. Marina Jack: Enjoy a panoramic view of the marina, downtown, Sarasota Bay, Big Pass, and the Gulf of Mexico as you partake in a traditional Thanksgiving meal of roasted turkey, mashed potatoes and gravy, green bean almandine, and cranberry sauce at The Dining Room. All areas open at 11 a.m. Reservations recommended; call 941-365-4232. 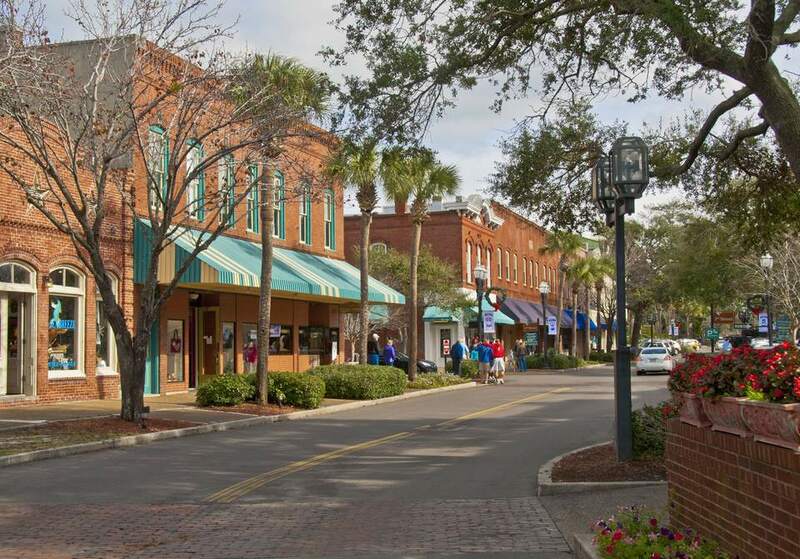 Columbia Restaurants: With six locations in Florida, including St. Augustine, Columbia Restaurant will serve a traditional Thanksgiving feast of roast turkey, Columbia stuffing, fresh vegetables, whipped potatoes, sweet potato pecan casserole, cranberry sauce, and giblet gravy beginning at 11 a.m. Dinner also includes a choice of Columbia soups or Caesar salad. Adults $21.95, children (10 and younger) $5.95. Reservations required. Call the St. Augustine location at 904-824-3341 for reservations. 400 Beach Seafood & Tap House: This dining establishment in downtown St. Petersburg has put together a traditional Thanksgiving menu that will be served from 11 a.m. to 7 p.m. Adults $36, children (12 and younger) $15. Reservations recommended; call 727-896-2400. Parkshore Grill: Located in downtown St. Petersburg, Parkshore Grill will offer a three-course Thanksgiving menu in addition to its regular menu from noon to 8 p.m. Adults $32, children $17. Reservations recommended; call 727-896-9463. The Rusty Pelican: Enjoy a Thanksgiving Day champagne buffet with outstanding views of Tampa Bay. The buffet is open from 10:30 a.m. to 4:30 p.m. Adults $65, children (ages 5 to 12) $25. For reservations, call 813-281-1943. Sheraton Sand Key Resort: Enjoy the elegant atmosphere of Rusty's and its mouthwatering Thanksgiving buffet featuring traditional and nontraditional selections served from 1 to 9 p.m. Adults $39, children (ages 6 to 12) $15. Children 5 and younger eat free. Reservations recommended; call 727-595-1611, extension 7001. Yacht StarShip: Dine aboard a yacht while cruising Tampa Bay on Thanksgiving Day. Enjoy a traditional Thanksgiving buffet, cash bar, entertainment, and dancing. Adults $59.95, children $29.95. Departures at 1:30 and 5:30 p.m. Reservations required; call 813-223-7999.